Are you as over-awed as we are by the cross-generational pop power of ABBA? 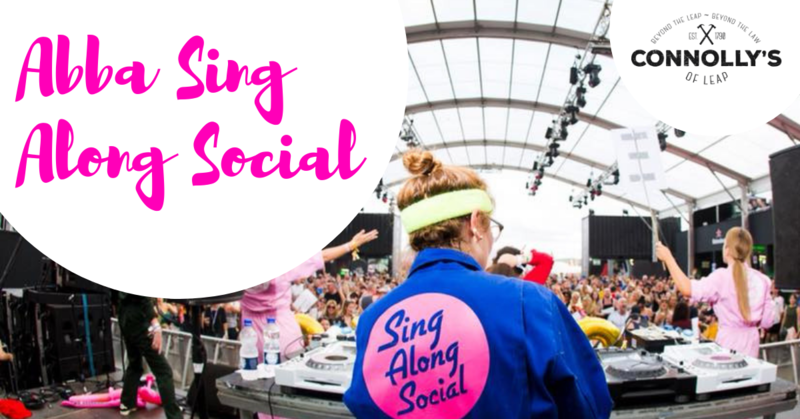 After two sold out shows in The Sugar Club in Dublin, the Sing Along Social is taking its ABBA appreciation to selected venues around the country. Join the Sing Along Social (+ Special Guests) from 8pm on Saturday 24th of November in Connolly’s of Leap in West Cork when we’ll be singing through ABBA Gold and associated Pop Gold. Doors will open at 8pm and we’ll be singing by 9pm sharp. Tickets are €10 (includes booking fee) and, yes, we will have prizes to give away to the best worst singers and for those dressed as their favourite member of ABBA. The Sing Along Social is a zero-commitment choir designed for people who can’t sing. It’s kind of like group karaoke. No microphones, no putting people on the spot. It’s about caterwauling along to your favourite songs in the company of friends and strangers.